If a Jewish king conquered territory outside of Eretz Yisrael proper, would kohanim and levi’im receive a portion of that territory equal to the portion of any other tribe, or not? Rambam (Shemittah veYovel 13,10-11) writes that they would, while Ra’avad (ibid.) writes they would not. When Moshe fought against Midian, the kohanim received two percent of the spoils. 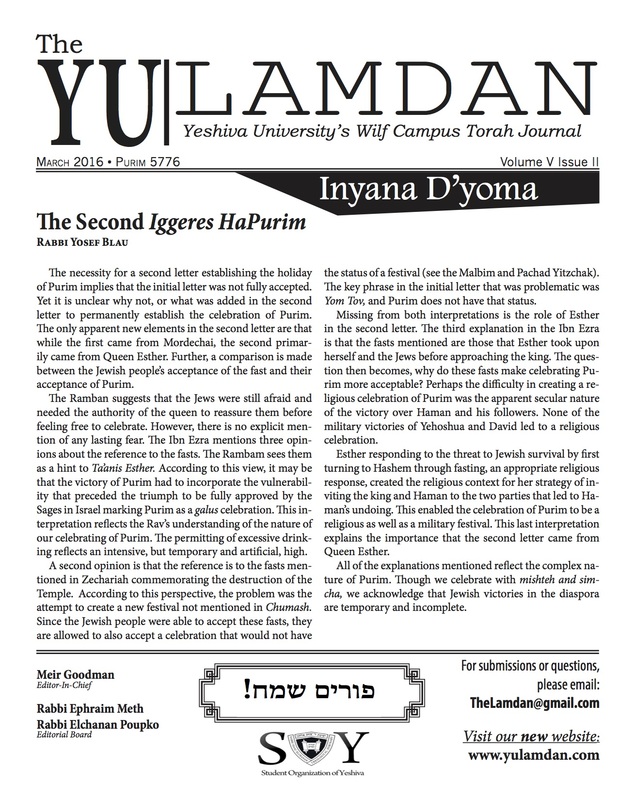 Kesef Mishneh, defending Rambam’s position, writes that they received spoils from Midian because Midian was outside of Eretz Yisrael proper. Hence, had they conquered land during that war, just as they received spoils, they would have received land. In contrast, Ra’avad points to the fact that they received only two percent of the spoils, not a share equal to any other tribe. Just as they did not receive an equal share of spoils, writes Ra’avad, they would not receive any share of land. Acharonim further challenge the Kesef Mishneh’s assumption that tithes and land are related. Netziv (Eimek Netziv to Sifrei, piska 163) notes that kohanim and levi’im might be entitled to tithes from every country simply in exchange for their not receiving a portion of Eretz Yisrael proper, since Eretz Yisrael is the most desirable of all lands. Mishneh leMelech similarly notes that kohanim and levi’im might receive tithes, regardless of whether or not they receive land, because they are commanded to consistently pursue a single-minded connection with Hashem and to serve Him in the Beit haMikdash. Rav Elazar Menachem Man Shach, in his commentary on the Rambam (ibid. ), attempts to prove that land and tithes are unrelated. In the times of the second Beit haMikdash, when anyone who wanted land had to purchase permission from the Persian authorities, R. Shach notes, kohanim had land rights equal to those of the other tribes. Nonetheless, many authorities hold that kohanim were biblically entitled to terumah during that period. Clearly, then, terumah should not be viewed as compensation for sub-par land rights. One can argue, however, that Kesef Mishneh never meant that terumah was compensation for sub-par rights, for receiving less than the other tribes. Terumah was compensation for not receiving or not being entitled to receive ancestral holdings. Kohanim deserve this compensation whether or not the other tribes were able to realize their right to ancestral holdings. Based on this, we can perhaps understand a difficult comment of Rabbeinu Tam. Commenting on the Sifrei (piska 164), Rabbeinu Tam seems to indicate that kohanim could have had a stronger claim to land not formally distributed by Yehoshua than to land that was formally distributed. In other words, in the absence of a strong central authority overseeing land apportionment, kohanim could have had a stronger claim to equality with the other tribes. This mirrors Rav Shach’s above observation, that in the total absence of a formal system for apportioning the land, kohanim have equal rights to members of other tribes. Rav Shach brings additional support to the Rambam from the text of aforementioned Sifrei. The Sifrei, as elucidated by Ramban (Devarim 18), writes that kohanim receive neither land in the five territories that “flow with milk and honey,” nor land in the remaining two territories – those of the Perizi and the Girgashi – that are less bountiful. In other words, one might have thought that kohanim were only excluded from receiving land in the most bountiful areas, and that kohanim were supposed to receive land in the less bountiful areas. Based on a scriptural redundancy, Sifrei derives that kohanim were excluded from receiving land in the territories of Perizi and Girgashi. Presumably, however, kohanim were not excluded from receiving land in the remaining less-bountiful territories, i.e. territories outside of Eretz Yisrael proper. In response to Rav Shach, one might argue that the Sifrei chose the Perizi and Girgashi territories as paradigms for all less-bountiful territories, not as exceptions to the rule. Hence, just as kohanim receive no land from the Perizi and Girgashi, they also receive no land in territories outside of Eretz Yisrael proper. The foregoing discussion raises an important question. Why was the tribe of Levi deprived of ancestral lands in Eretz Yisrael? Ra’avad could answer simply that cultivating land would distract them, more than any other form of livelihood, from their spiritual growth. Rambam, however, cannot view land ownership as an unacceptable distraction, since he holds that kohanim will receive ancestral land outside Eretz Yisrael proper. Rambam might avail himself of a technical answer – i.e. ancestral holdings outside Eretz Yisrael proper will be less bountiful and less accessible, and hence less distracting. He might suggest, contra to Mishneh leMelech, Netziv, and Rav Shach, that terumah of Eretz Yisrael proper is too holy to be eaten by non-kohanim, and hence kohanim could not receive land in Eretz Yisrael since they had to receive its terumah, while terumah of other territories is less holy, and so we were able to give kohanim land in those territories and permit non-kohanim – when in an elevated state of purity – to eat their own terumah. One might speculate, as per Ramban, that kohanim were excluded only from territories coveted by the other tribes. Since the Torah writes “Hashem is their ancestral legacy,” the other tribes had to be compensated with a prize of similar value, i.e. holdings in Eretz Yisrael. Since land outside Eretz Yisrael proper is less precious, adding those territories to the other tribes’ award would have negligible impact. (Acharonim note that Rashbam and Tosafot must use this approach to explain why kohanim will share Eretz Yisrael proper in the Messianic era. Since the other tribes will have a greatly expanded inheritance, they will not be faulted for failure to feel bad about sharing their legacy with the kohanim.) Or, on a slightly more symbolic note, the Torah was extremely cautious concerning which awards it equated with “Hashem is their ancestral legacy.” Had it added other lands to the tribes’ award, it would God-forbid have cheapened the value of “Hashem is their ancestral legacy.” Only the legacy of Eretz Yisrael proper, precious Eretz Yisrael, can come close to compare.